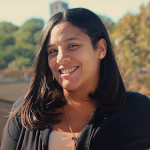 Yolise Fajardo is currently the Unit Director of ICS’s Summer Youth Employment Program (SYEP). She has a Bachelor’s of Science in the interdisciplinary major of Anthropology, Biology & Chemistry from Herbert H. Lehman College. Having over eight years’ experience in youth services. Ms. Fajardo was employed as Assistant Program Coordinator for Elementary and Middle aged school youth at Alianza Dominicana, Inc. La Plaza Beacon School; and as Membership Director for American Maritime Safety, Inc. before working with ICS. She can be reached via e-mail at yolisef@inwoodcs.org or by phone at (212) 942-0043 ext. 118.